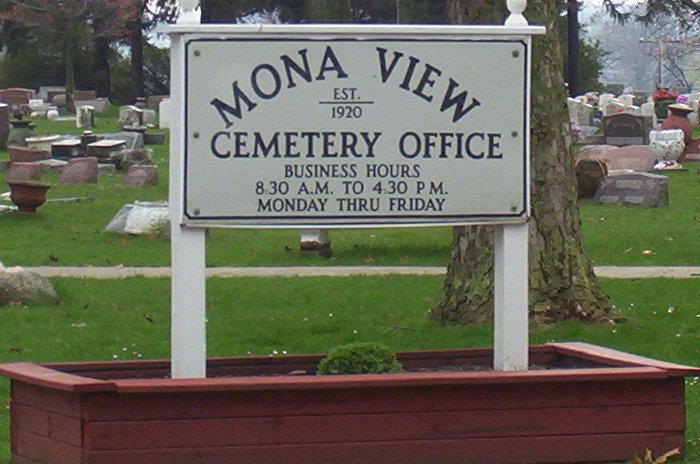 1) The Mona View Cemetery is located at 3335 Mona View Drive in Muskegon Heights. 2) For lot sales, burial information and questions, please call for an appointment at 231-739-3378. 3) Office hours are Monday through Friday from 8:00 AM – 3:00 PM.